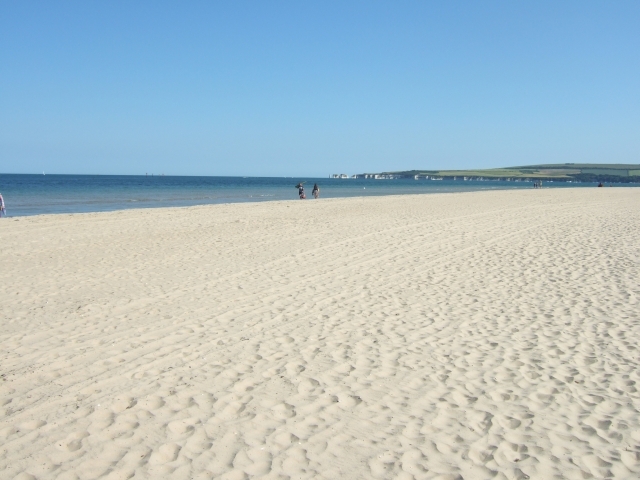 With four miles of stunning and pristine white sand, Studland Bay, Dorset drops gradually into a light blue ocean before getting deeper and deeper into the sea. Set on a backdrop of health land and dunes, the bay is perfect for children wanting to play and explore! The northern stretch of the bay is accessible via chain ferry and exudes a desert island feel – you certainly do feel like you are stuck in the middle of nowhere! There are a few nearby beaches; Shell Bay is a nudist beach and Knoll Bay is again popular with families. If you want to grab a bite to eat, there is a nearby café at Knoll Bay called the National Trust Beach Café – this establishment serves hot and cold meals alongside refreshing beverages and the option to eat indoors our outside. Studland Bay really is one of the places that you need to see with your own eyes to believe it. This entry was posted in British Location, UK Beaches and tagged UK beaches on May 18, 2015 by .